Iranian negotiators said they had made good progress in talks with experts from six world powers in Geneva Monday, but said a few further issues remain to be worked out at a follow up meeting next week. We “reached good progress in Geneva,” an Iranian official, speaking not for attribution, told Al-Monitor by email Tuesday. There are “still a few items [that] need to be hammered out after the holidays,” he said, without elaborating on what those are. The two sides “achieved mutual understanding on implementation [of] the nuclear deal,” Hamid Baidinejad, the head of the Iranian delegation to the technical talks, was cited by Iran’s ISNA news agency Tuesday. Iranian Deputy Foreign Minister Abbas Araghchi and European Union deputy foreign policy chief Helga Schmid will meet to address remaining issues next week, Araghchi told Iranian media, saying experts talks had gone til 430am in Geneva. Araghchi was photographed with numerous other Iranian officials attending the wake for the mother of Iranian Foreign Minister Mohammad Javad Zarif on Monday. Among the other Iranian personages seen at the service were Iranian Majlis Speaker Ali Larijani, foreign policy advisor to the Supreme Leader Ali Akbbar Velayati, head of the Atomic Energy Organization of Iran Ali Akbar Salehi, former Iranian nuclear negotiator Seyed Hossein Mousavian, and hardline Kayhan editor Hossein Shariatmadari who was photographed embracing Zarif. Little noticed in the flurry of high profile diplomacy that produced a breakthrough nuclear accord in Geneva last month, Ali Akbar Velayati, the longtime top foreign policy advisor to Iranian Supreme Leader Ali Khamenei and former Iranian foreign minister, has been appointed the head of the Center for Strategic Research, the Iranian think tank formerly helmed by Iranian President Hassan Rouhani. Velayati was tapped to succeed Rouhani as head of the Center for Strategic Research, a subsidiary of Iran’s Expediency Council, in November, IRNA reported. Velayati, who did post-graduate medical studies at Johns Hopkins University, served as Iranian foreign minister from 1981-1997 and as Khamenei’s top foreign policy advisor since then. He has appointed Dr. Abbas Maleki, a former Iranian diplomat and scholar, as his deputy of international studies at CSR, Iranian sources told Al-Monitor Sunday. Maleki, who served as Iran’s deputy foreign minister under Velayati from 1980-1997 and as a professor and dean at Sharif University, has in recent years been based in Boston as a senior fellow at Harvard University’s Belfer Center for Science and International Affairs and at the Massachusetts Institute of Technology (2011-2012) before his return to Iran in 2012. Iranian sources also said that Dr. Mostafa T. Zahrani, a former Iranian diplomat at the Iran mission to the United Nations in New York when Iranian foreign minister Mohammad Javad Zarif served as Iran’s UN envoy, has been appointed director general of the Iranian Foreign Ministry-linked think tank, the Institute of Political and International Studies (IPIS), succeeding Mostafa Dolatyar. Al-Monitor could not reach officials at IPIS Monday to confirm. 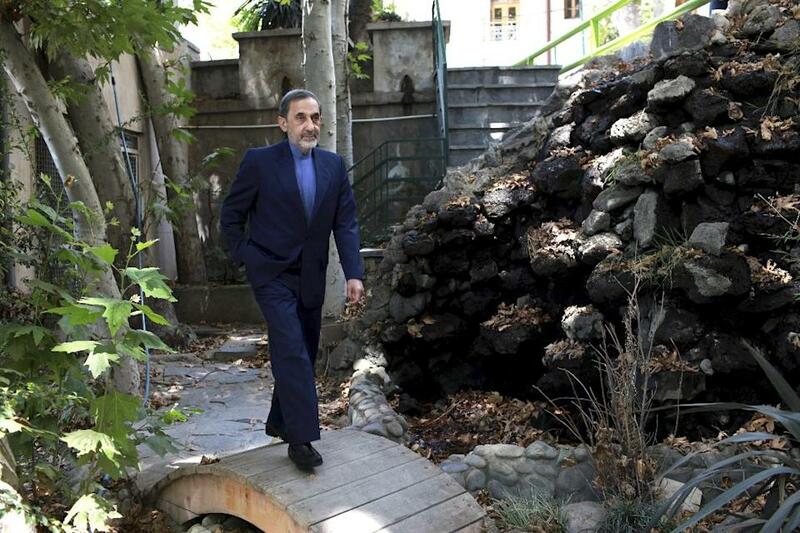 Velayati, notably, has twice in recent days vigorously endorsed direct one-on-one nuclear talks with the United States and other members of the P5+1. “Talks can be held separately (with every members of the P5+1),” Velayati told reporters in Tehran Sunday, Khabar Online reported. The United States and Iran have held at least five rounds of secret talks in Oman, Geneva and New York since Rouhani’s inauguration in August to advance a nuclear accord, Al-Monitor first reported last month. Meantime, in Israel, Dore Gold, the head of the Jerusalem Center for Public Affairs and former Israeli ambassador to the United Nations, has joined the office of Israeli Prime Minister Benjamin Netanyahu as a senior advisor, an official at the Jerusalem Center for Public Affairs confirmed to Al-Monitor Monday. Gold, a former Israeli advisor at the Madrid and Wye River peace talks, previously served as a foreign policy advisor to Netanyahu (1996-1997) and then Prime Minister Ariel Sharon (2002-2004), and as Israeli ambassador to the UN (1997-1999). Born in Connecticut, Gold has headed the Jerusalem Center for Public Affairs since 2000, and has written several books, including The Rise of Nuclear Iran. Differing interpretations over whether Iran can conduct research on more advanced centrifuges under a nuclear deal signed last month is among the key issues to be resolved for the agreement to enter into force, nonproliferation experts suggested Sunday. Technical experts from Iran and six world powers are scheduled to resume talks on implementing the Joint Plan of Action in Geneva on Monday, December 30th. “What may be happening here is that Iran has notified the P5+1 that it plans to install additional IR-2M centrifuges at the Pilot Fuel Enrichment Facility at Natanz where it has historically conducted centrifuge research and development,” Jofi Joseph, a former US official who worked on Iran nuclear issues, told Al-Monitor. Iranian negotiators did not respond to a query from Al-Monitor Saturday if that was the main issue holding up the JPA entering into force. But Iranian officials seemed to allude to the matter in comments to Iranian news media this week. “A new generation of centrifuges is being built, but they should undergo all tests before mass production,” Ali Akbar Salehi, the head of the Atomic Energy Organization of Iran (AEOI) and MIT-educated former Iranian foreign minister, was cited by Iranian news media as saying Sunday. Experts from Iran and six world powers will resume talks in Geneva next week, December 30th, on implementing the interim Iran nuclear deal signed last month, western and Iranian diplomats said Friday, as a top advisor to Iranian Supreme Leader Ali Khamenei strongly endorsed one-on-one nuclear talks with the United States and members of the P5+1. The resumed talks in Geneva Monday on implementing the Joint Plan of Action are currently expected to last for one day, and will involve nuclear and sanctions experts, not political directors, a spokeswoman for European Union foreign policy chief Catherine Ashton told Al-Monitor. The main issue to be resolved concerns different interpretations of certain aspects of the Joint Plan of Action, an official involved in the negotiations, speaking not for attribution, told Al-Monitor Friday. If there is a need, a higher level meeting involving political directors might be a possibility at a later date, he said. Implementation of the JPA, signed by the foreign ministers of Iran and six world powers in Geneva November 24th, is now envisioned to start in the second half of January, Reuters reported. The announcement of resumed implementation talks comes as Ali Akbar Velayati, the top foreign policy advisor to Iranian Supreme Leader Khamenei, strongly backed the nuclear diplomacy and said Iran should pursue direct, one-on-one talks with each member of the P5+1. The Senate Foreign Relations Committee is expected to introduce an Egypt aid bill Wednesday that if passed could set a precedent for loosening current restrictions on US assistance to post-coup countries, Congressional sources tell Al-Monitor. Sen. Robert Menendez (D-NJ), the chairman of the Senate Foreign Relations Committee, is expected to introduce the bill, called the Egypt Assistance Reform Act of 2013, at a SFRC business meeting or Wednesday. The bill is listed as the first item on the published agenda for the committee meeting. A senior US administration official, speaking not for attribution Tuesday, said the bill is expected to pass, but it isn’t clear that Menendez has a vehicle to bring it to the floor before the end of the week, after which Congress is expected to go on break. The real test will be the continuing resolution or the omnibus in early January, the official said. The bill, while geared to Egypt, could have wider implications for US defense/security and economic assistance to post coup countries universally, one Congressional staffer, speaking not for attribution, said. If passed, it would virtually eliminate the restrictions of Section 7008, which currently prevents aid to post coup countries, by offering a framework for a waiver, which could be renewed. The Congressional staffer suggested the Obama White House had been closely involved in drafting the text of the legislation with the SFRC. “We are continuing to work with the Congress to ensure we obtain the funding and authorities necessary to provide assistance for Egypt, consistent with the approach we outlined earlier this year,” Bernadette Meehan, spokesperson for the National Security Council, told Al-Monitor Wednesday. A spokesman for the SFRC majority staff contacted by Al-Monitor Tuesday evening said he may not be able to get guidance on the matter before Wednesday. A spokesman for ranking SFRC Republican Bob Corker of Tennessee could not immediately be reached Tuesday. US Secretary of State John Kerry spoke by phone with Iranian Foreign Minister Mohammad Javad Zarif Saturday about how to move forward on implementing the Iran nuclear deal, US and Iranian officials said Monday. Kerry called Zarif from his flight from Israel to Vietnam Saturday, a senior State Department official said Monday, after the conversation was alluded to by Zarif in an interview with the Washington Post’s David Ignatius and subsequently confirmed by the Iranian Foreign Ministry. After top US officials testified Thursday on the Iran nuclear deal signed in Geneva last month, the chair of the Senate Banking panel appeared to speak for the majority of the body when he cautiously endorsed the Obama administration’s call that Congress hold off on new Iran sanctions for now, but warned that lawmakers would act swiftly if Iran and six world powers are unable to reach a comprehensive nuclear agreement in negotiations over the next six months. Even as the Obama administration got welcome signs Congress would likely hold off on new Iran sanctions legislation for the rest of the year, Sen. Robert Menendez (D-New Jersey) said that he would consider drafting a resolution on what the final agreement with Iran should include–potentially adding another complication to the already difficult diplomatic task at hand. While several Senators expressed skepticism about whether Iran could be trusted, they also expressed hope for a diplomatic resolution to the Iran nuclear dispute, and appeared inclined to acquiesce for now to the administration’s case that the current moment of productive engagement warranted a pause in new pressure that could shift the Iranian political dynamic back in favor of hardliners. “I think all of us want to see a diplomatic solution to Iran and have been encouraged by the fact that the administration has been dealing with them in this way,” Sen. Bob Corker (R-Tennessee) told the hearing. But, Corker added, the text of the six month, Phase 1 “Joint Plan of Action,” signed by Iran and the P5+1 in Geneva on November 24, had elements of concern to him. Among them, he said, why Iran is able to still pursue physical construction to the still-uncompleted Arak heavy water facility during the Phase 1 deal, though it cannot build any elements that would fuel it; and will now provide International Atomic Energy Agency (IAEA) inspectors regular access to, as well as long sought design information on the site. Corker also asked whether the US had tacitly agreed that Iran would have enrichment in an end state deal. Technical talks between Iran and six world powers on implementing a Nov. 24 Iran nuclear accord got underway in Vienna on Monday, as top US officials vigorously argued that the six month deal will strengthen international security by halting the expansion of Iran’s nuclear program while negotiations towards a comprehensive deal take place. “I am convinced beyond any doubt that Israel becomes safer the moment this first-step agreement is implemented,” Kerry told the Saban Forum in Washington DC on Saturday (Dec. 7). “We hope that by the end of these talks, we can start implementing the first step of the Geneva agreement before the end of the year,” Iranian Deputy Foreign Minister Majid Ravanchi told Al-Monitor by email Monday about the technical level talks. The talks, which started at 3pm Monday, are “to discuss implementation of the 24 November agreement,” Michael Mann, spokesperson for European Union foreign policy chief Catherine Ashton, told Al-Monitor. The EU delegation to the Vienna talks includes EEAS nuclear experts Stephan Klement and Klemen Polak. Iran’s delegation to the talks is led by Hamid Baeedinejad, the Director General of Iran’s Foreign Ministry, Ravanchi said. The US delegation to the Vienna technical talks includes James Timbie, the top nonproliferation advisor to Under Secretary of State Wendy Sherman; Richard Nephew, the State Department’s deputy Iran sanctions expert; Deputy Assistant Secretary of State for Iran and Iraq Brett McGurk, and Adam Szubin, from the Treasury Department’s Office of Foreign Asset Control (OFAC). Parallel to the consultations with the Iranians, US officials are also traveling around the world to discuss how to implement the sanctions relief in the phase 1 deal, while maintaining the major architecture of oil and banking sanctions on Iran. Deputy Assistant Secretaries of State Amos Hochstein and Peter Harrell are traveling to China, India, Turkey and the United Arab Emirates for consultations on easing sanctions on Iranian trade in gold and precious metals, and permitting Iran to receive $4.2 billion in frozen assets from oil sales, but not unwinding sanctions further than that spelled out in the six month deal. The technical talks on implementing the six month, Phase 1 deal come as President Obama and Secretary Kerry told a pro-Israel security forum in Washington over the weekend that the deal would increase Israel’s security by lengthening the time it would take Iran to have nuclear weapons breakout. 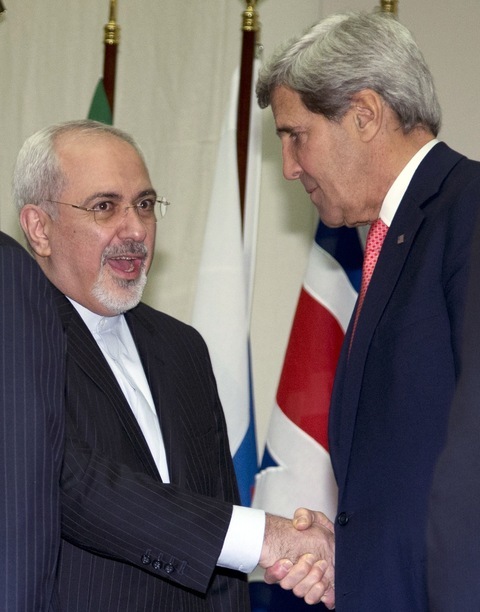 Kerry is due to testify on the Iran deal to the House foreign affairs panel Tuesday. Lead US negotiator Wendy Sherman is also supposed to testify on the Hill later in the week, State Department spokeswoman Jen Psaki said Monday. Kerry will further discuss Iran when he meets with Israeli Prime Minister Benjamin Netanyahu on his ninth visit to Jerusalem later this week, Psaki said. Israel’s new national security advisor Yossi Cohen is also in Washington this week for consultations with US counterparts on the Iran deal. American officials have urged Israel to consult on terms for a comprehensive agreement, rather than litigate the terms of the Phase 1 deal, which Israel has opposed. “The real question is what’s going to happen with the final agreement,” Kerry told the Saban forum. The Obama administration is pressing Congress to hold off on passing new Iran sanctions even if they would not take effect until after six months and only if a comprehensive deal is not reached. Iran’s Foreign Minister Mohammad Javad Zarif warned in an interview published by Time Monday that new US sanctions would sink the deal. “If Congress adopts sanctions, it shows lack of seriousness and lack of a desire to achieve a resolution on the part of the United States,” Zarif told Time’s Robin Wright.